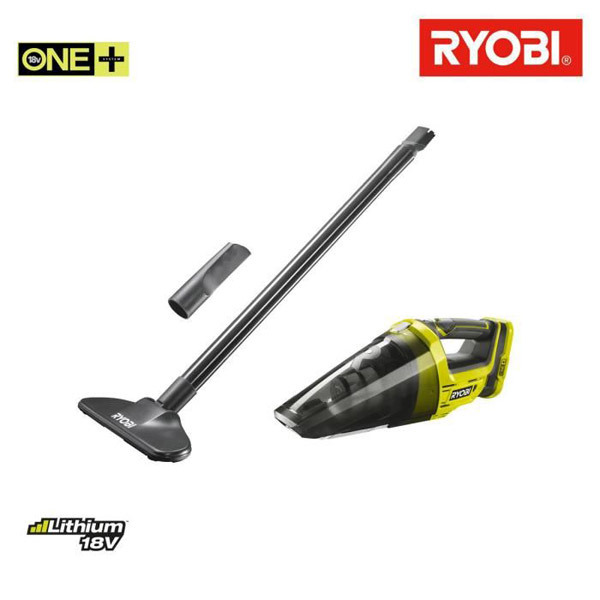 The R18HVF from Ryobi is the new updated hand vac in the ONE+ range, featuring a bag-less, easy clean dust bowl allowing for quick and simple dust disposal with no mess. Additionally the lightweight body makes this tool ideal for cleaning inside vehicles and other hard to reach spaces that a conventional workshop vacuum might not be capable of cleaning. This vacuum cleaner works well on hard floors, and the included crevice tool further allows the user to clean hard to reach parts of any surface.